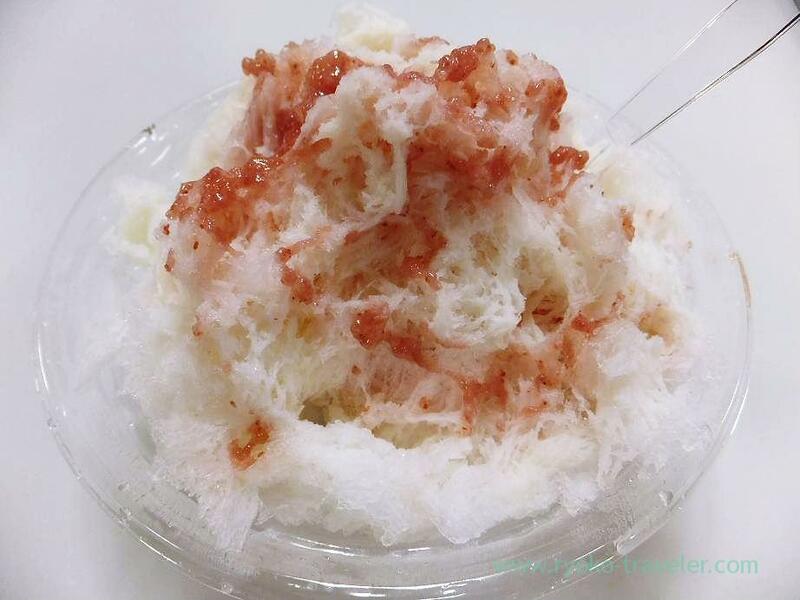 So popular kakigori in Nikko district came to our Funabashi ! I know only its existence. Kakigori that made of natural ice. I had been wanting to eat kakigori that made of natural ice even one time. But it is too popular that It is necessary to stand in a long long line for eating it. Kakigori is usually eaten in Summer. I couldn’t bear standing in the line outside for hours in Summer. So, I hadn’t eaten natural ice. But this time, my friend asked me to go an exhibition of the products of Tochigi and Fukushima that was held at Funabashi Tobu on the 6th floor. A famouse wagashi shop in Tochigi came the exhibition. 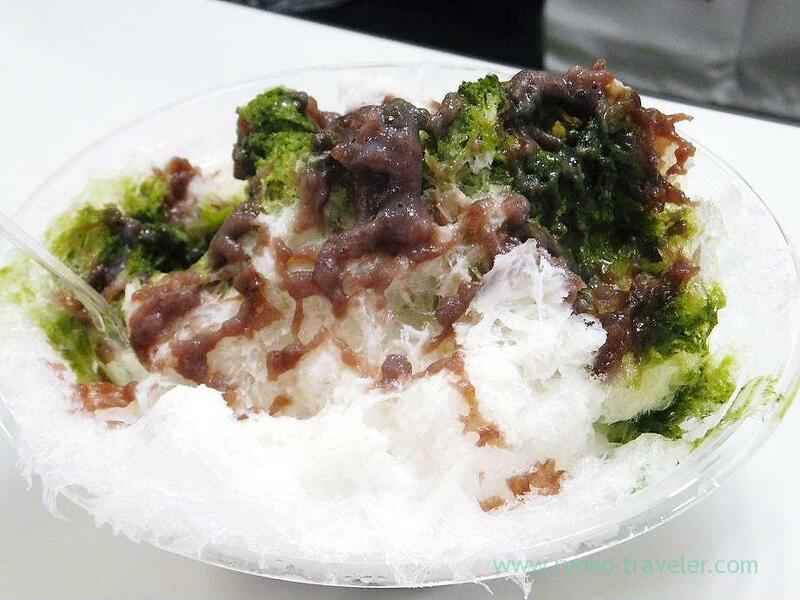 The shop serves kakigori made of natural ice of Nikko. So, I went to there with pleasure. I was glad that it is cool thanks to air-conditioning in the Funabashi Tobu. This kakigori shop’s name is Yuzawa Saryo. We standed in line for about one hour. Then my longing natural ice kakigori came to us with shocking look. Before eating it, I thought, “I can’t see the difference between natural ice and pure ice. But they were quite different. So fluffy shaved ice was no taste. Only its coldness went smoothly down the throat, like melting snow. Maybe, the shaved ice was too fluffy that it couldn’t accept the weight of syrups. These syrups were not bad. But strawberry with condensed milk was too sweet for me just a little. Yuzawa Saryo is in Nikko district.